Rav Hanan is an Orthodox rabbi, teacher, and passionate Zionist settler who has been profoundly transformed by his friendship with Ali and with other Palestinians. His understanding of the reality of the Middle East conflict and of Zionism has been utterly complicated by the parallel universe that Ali and others have introduced him to. Originally hailing from New York, Rav Hanan made aliya (ascended to the Land of Israel) on his own at the age of 20 and has lived over the green line, in Alon Shvut, Gush Etzion, for over 30 years. His family background is Reform, but already at the end of high school he began delving into observant Judaism. He has spent over 10 years learning in Israeli Talmudic seminaries and also studied towards a MA in Jewish Philosophy at Hebrew University. His professional career has been dedicated to teaching Jewish studies in various colleges and seminaries in the Jerusalem area, and well as in different frameworks in Florida and Texas. It was in Dallas about 9 years ago that he began to become involved in interfaith work, first with Christians and then with Muslims. There he founded Faiths in Conversation, a framework for Jewish - Christian – Muslim theological dialogue. The mind-expanding experience of these trialogues inspired him to attempt to meet Muslims and Christians back in the Holy Land. 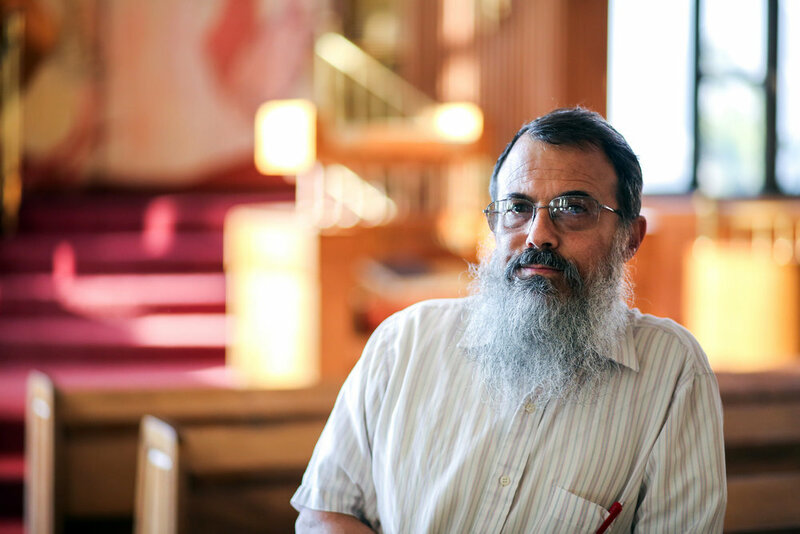 Although always drawn to pluralism and deeply empathic for the other, and sporadically involved in the religious peace movement over the course of the past 3 decades, Rav Hanan had never formed a personal relationship with a Palestinian until he returned to Gush Etzion from Dallas about three and a half years ago. The meetings that began then have become far more meaningful than he could ever have imagined. He found himself part of the small team that founded Roots/Shorashim/Judur and has dedicated himself to bringing reconciliation to that tiny sliver of land that both Palestinians and Israelis call home.